For traders who use end-of-day data, Refinitiv DataLink is the #1 choice for a reliable and robust data feed. The benefits of this service are numerous. Make your trading decisions with the same confidence that 1000's of MetaStock clients already enjoy. 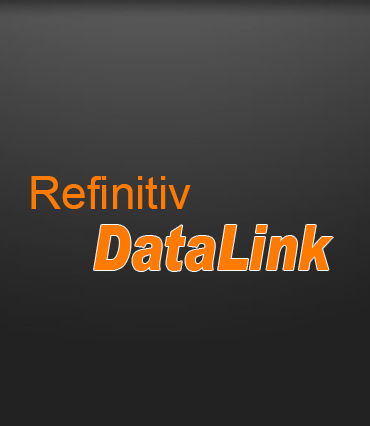 Refinitiv DataLink market data comes from Thomson Reuters, the world's best known and most reliable information provider. Successful, profitable trading depends on premium data, and no other end-of-day data is more dependable than Refinitiv DataLink. Refinitiv DataLink data can be trusted, so you can make trading decisions with confidence—thousands of our customers already do. Our data comes from Thomson Reuters, the world's best known and most reliable information provider. Successful, profitable trading depends on premium data, and no other end-of-day data is more dependable than Refinitiv DataLink. Refinitiv DataLink data is accurate. This gives you an edge over other individual investors in the market who use low quality data and risk trading on bad signals. DataLink's exclusive AutoClean™ technology ensures that the data is accurate. Plus, Refinitiv DataLink automatically sends stock split information, which adjusts your historical data, resulting in smooth price charts and accurate analytics. Refinitiv DataLink data is flexible - it’s compatible with a number of leading software packages. Unlike other data providers, DataLink doesn’t lock you into a particular software. Refinitiv DataLink has unbeatable depth and breadth of data. Our data spans the globe, so whatever region you prefer to trade - from North America to Europe to Asia, we have it. Regarding data history, North American coverage begins in 1980 for equities, indices, & mutual funds and as far back as 1973 for some futures. International data goes back at least 5 years. Refinitiv DataLink lets you choose - whether you prefer adjusted or non-adjusted mutual fund data, the choice is yours. Lipper, a Thomson Reuters company, supplies the adjusted fund data that accounts for dividends and capital gains. DataLink offers free, unlimited technical support. Their experienced and highly trained Support team knows Refinitiv DataLink inside and out, so they can solve your problems quickly and efficiently. Following is a list of End-of-Day Data supplied by Refinitiv DataLink and the stock market exchanges to which this data applies. If you are looking for Real-Time Data, consider using Refinitiv XENITH. Every Equity Stock in North America. Refinitiv DataLink covers nearly every equity exchange in North America and most in Europe and Asia. This coverage also includes all North American, European, and Asian futures and commodities, and even all international indices... close to 3000 indices on all world markets! > Sign up for your DataLink subscription now! Charting software is only as good as the data behind it, and Refinitiv DataLink is as good as it gets. End-of-day data for all regions. Includes:equities, foreign exchange (FOREX), futures, commodities, and derivatives. Available in the Worldwide Futures Package. ** Supports hourly snapshot of the daily bar in MetaStock XIII and higher. Did you know that MetaStock recommends DataLink as the best data service for MetaStock users? In fact, thousands of MetaStock users rely on DataLink every day for their market information. ** Annual packages yield an estimated 20% savings and are non-refundable.